Tom Hanks, Conan O'Brien, and Grandpa? I figured I would take a break this weekend and post something funny. Earlier in the year I visited my grandmother and we were going through pictures when my grandmother asked me if I wanted to see a picture of my grandfather with Tom Hanks and Conan O'Brien. She then pulled this picture out of my grandfather with two lookalikes from around the 1940s posing in a car (maybe at Coney Island). 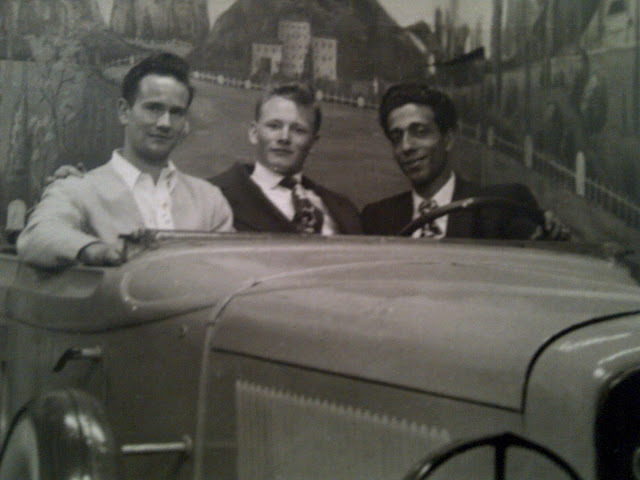 The resemblance of the two individuals to the left of my grandfather to Tom Hanks and Conan O'Brien were uncanny. This picture may be proof that time travel has existed for sometime and Hanks and CoCo took a trip to hang out with my family. Enjoy the picture because I know I have! I never realized Conan O'Brien and Mitt Romney were so alike!